Playskool Sesame Street Elmo Junction Train Set only $19.99! 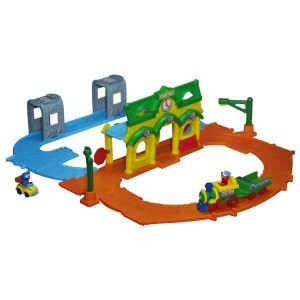 You are here: Home / online shopping / Playskool Sesame Street Elmo Junction Train Set only $19.99! 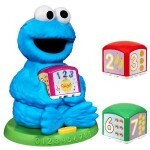 If you’ve got an Elmo fan, this is SO cute! Get this Playskool Sesame Street Elmo Junction Train set for just $19.99! It’s regularly $44.99, so you’re saving 56%! Parents, you will also LOVE that it comes in Frustration Free packaging!! All aboard. Preschoolers will love zipping around Elmo Junction. This two-in-one vehicle set easily converts from train tracks to a two-level roadway to inspire endless fun and imagination. It also features an introduction to the alphabet and numbers through songs. 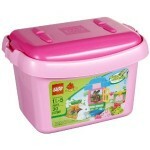 Includes ten feet of track and folds up for easy storage. Sesame Street and associated characters, trademarks and design elements are owned and licensed by Sesame Workshop. 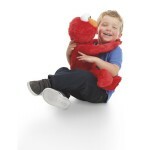 Playskool Sesame Street Big Hugs Elmo only $39.99 shipped! Mr. 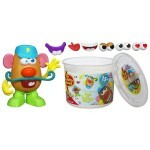 Potato Head Tater Tub Set 50% off! 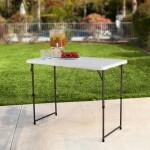 Lifetime Adjustable Folding Utility Table only $28.93!